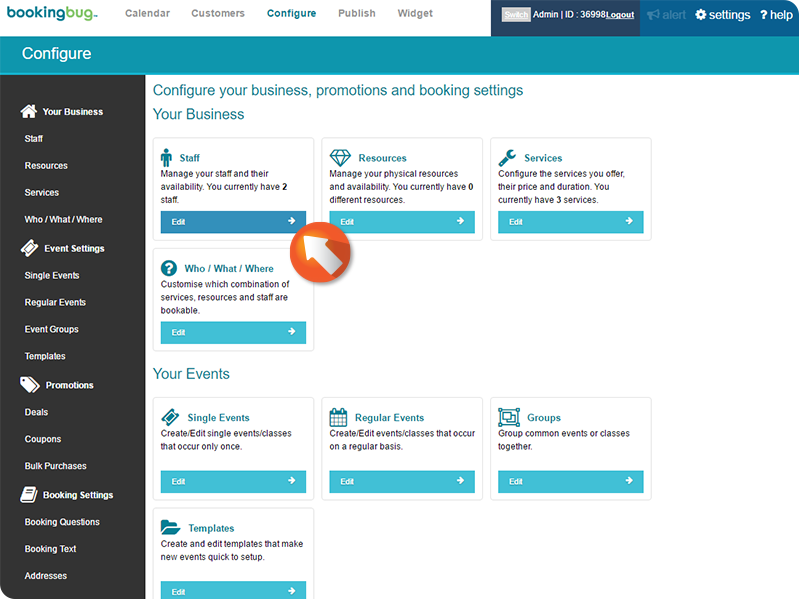 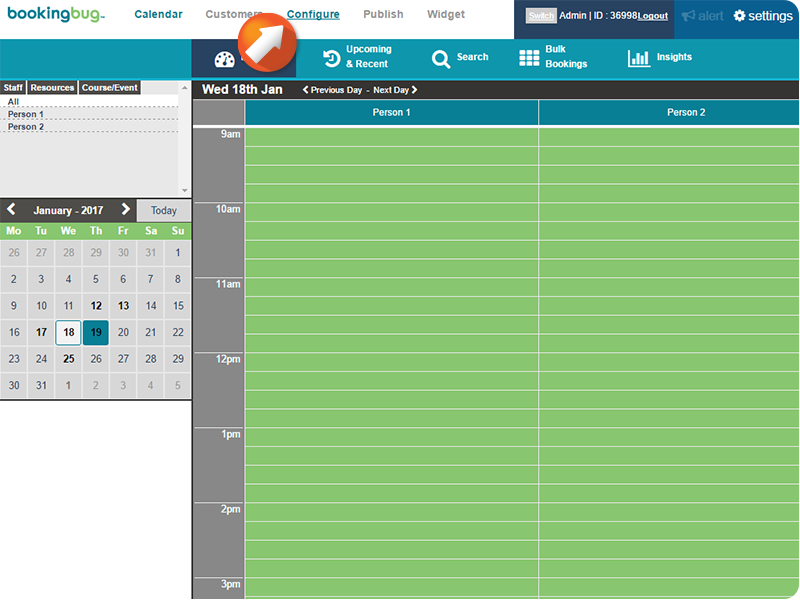 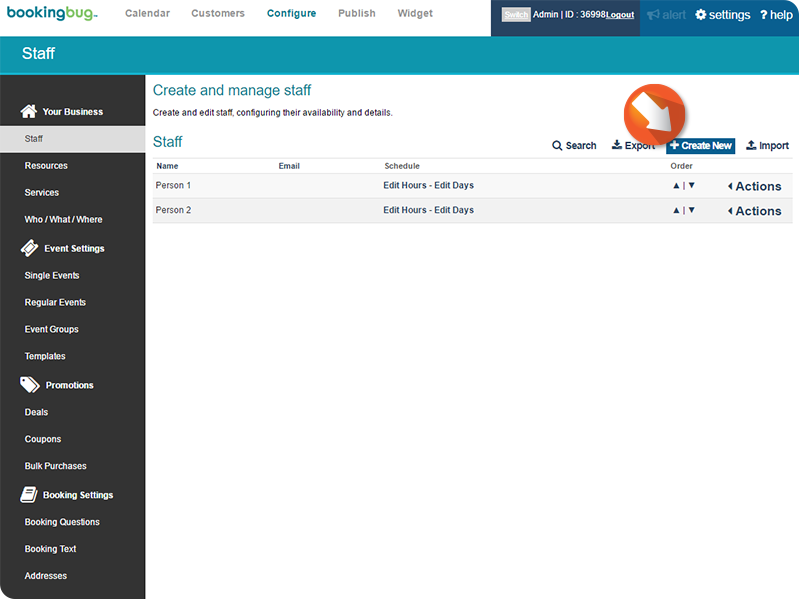 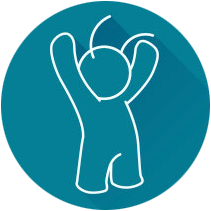 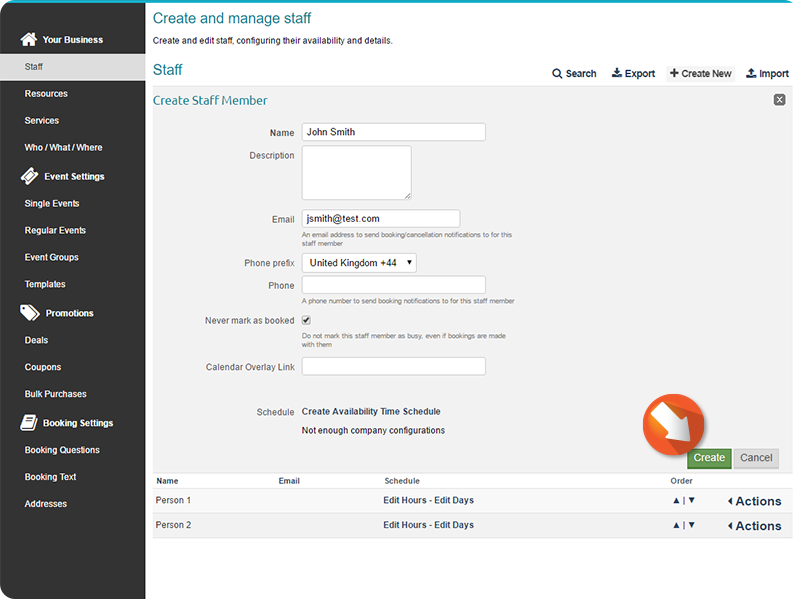 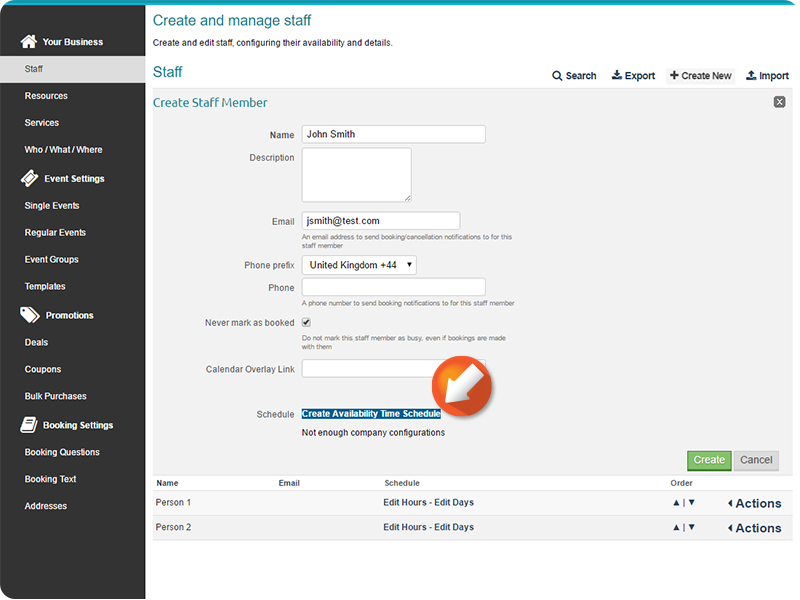 BookingBug allows you to create Staff members who are a part of your business. 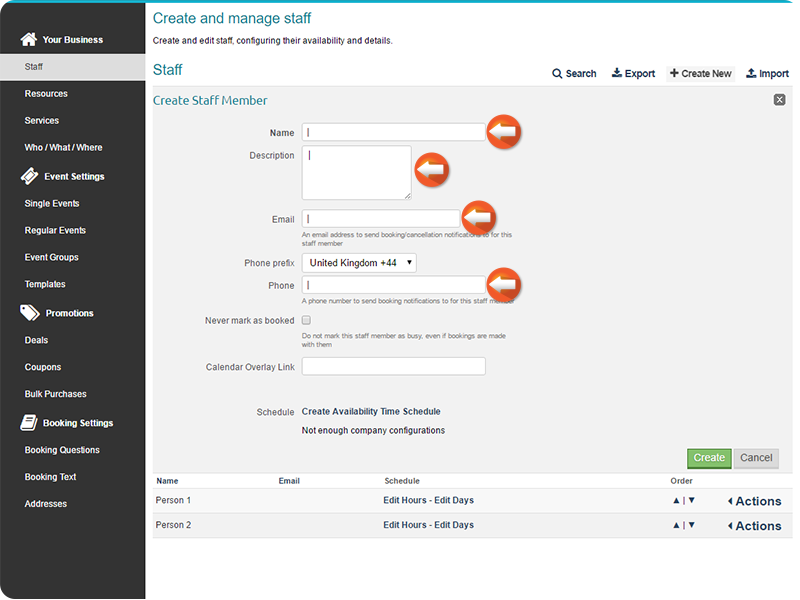 Staff can be assigned to provide different services depending on their role in your business, as well as be assigned to Courses, and Events. 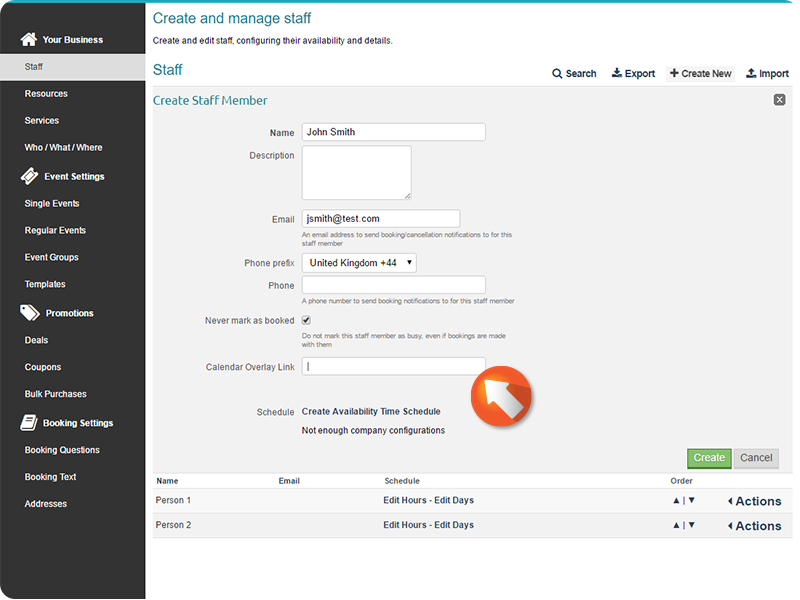 Enter the desired Staff Member name and description, email address, phone prefix, and phone number. 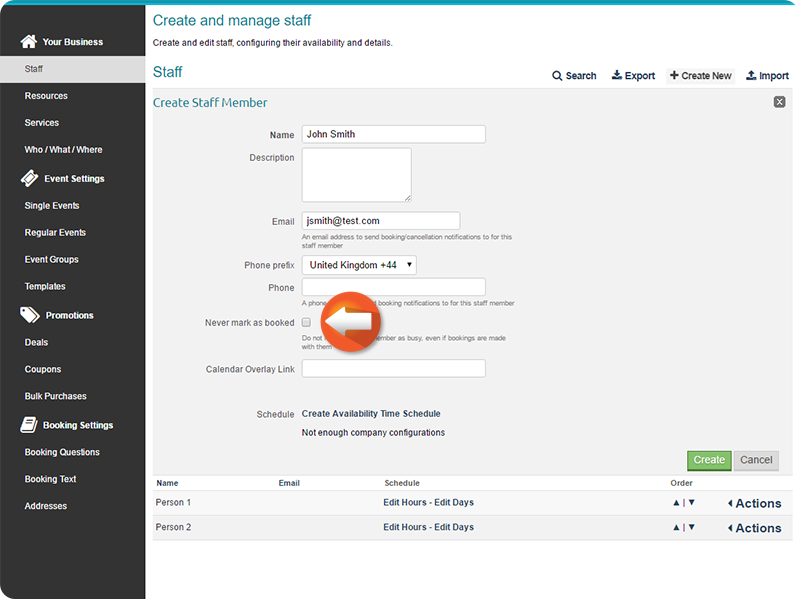 Enter a Calendar Overlay Link, if desired, to give the Staff Member the ability to overlay the schedule onto an external calendar.